similar model on Abbey Lee here, and now I am dying for the black pair with the gold! Check out all the different colours here! those have got to be the sickest sunglasses i have seen. they are incredible! 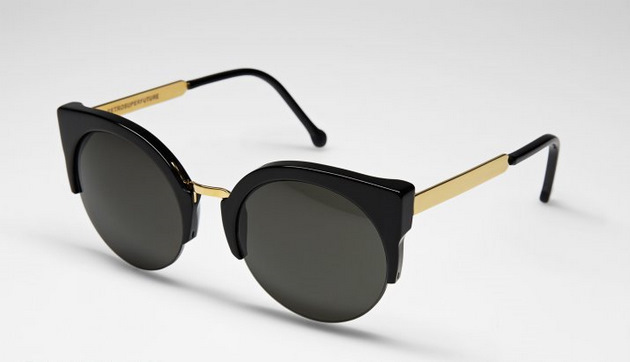 Oh my... they're kind of like a Wayfarer/Karen Walker hybrid maybe? I LOVE them! Eeekkk, hey ladylove, you are not helping me to stay away from purchasing these puppies! And, I didn't realise all of the colours they came in, dammit! Thinking the tortoise shell, mmmmm, what colour are you loving? God I want these too!